How to make sure you get exactly what you need. Getting your vehicle repaired after an accident is a stressful process. No one wants to get ripped-off, and we want to make sure that the repairs done to our car are of the highest quality. Follow this advice to help you get your car functioning and looking the way it should. When speaking to the manager or technician about your vehicle, in person or over the phone, it is a good idea to take notes about what they are telling you. Discuss the damage with them and ask questions until you are confident that you fully understand what repairs are needed. It may help to do a little online research or talk to a knowledgeable friend. This crucial step will help you out down the line. After the repairs, only drive away from the shop when you have your copy of the final itemized bill. Double check the bill for any services that they didn’t inform you of prior to them being done; you should understand every item on the list. Schedule a walk around of your vehicle with the shop manager or the technician who performed your repairs; most shops will have made time for this before you ask, but it never hurts. Ask them to point out what has been done and match it up with the itemized bill. During the walk around, you will get to learn if all the repairs were straight forward, or if there were any issues. You likely won’t have time at the shop to give your vehicle a thorough going-over by yourself. When you get home, meticulously inspect every area in which work was done. 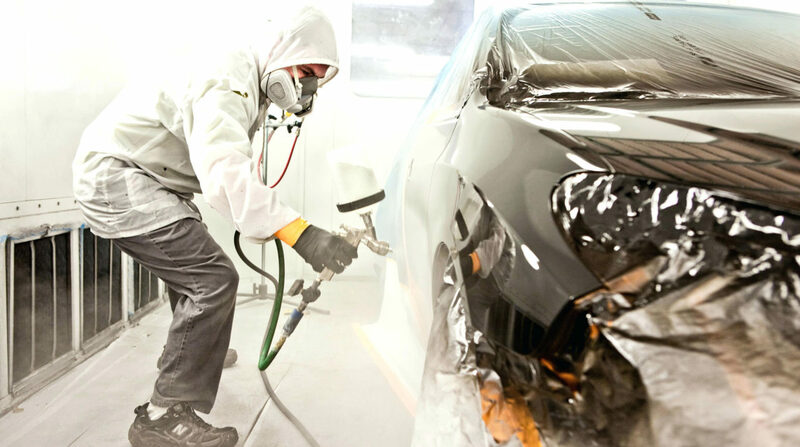 Inspect the paint job and decide if the body repair is noticeable (it shouldn’t be). Most shops provide a warranty so you can decide if you are satisfied with the work. For future reference, take note if the shop washed and cleaned your car. If you had any mechanical repairs done, take your car out for a drive when the road is quiet. Listen carefully for strange noises like grinding, screeching, clicking, hissing, or humming, any of which could indicate an issue. Take note if there are any problems that you didn’t experience prior to the repairs and consult the auto shop that did the work. At the end of the day, having your car repaired after a collision doesn’t need to be stressful or mysterious. As long as you follow those 5 steps, you are on your way to having your car working and looking the way it should. It also never hurts to select a shop with over two decades of experience – give us a call or send us a message, we’d love to chat. Want to restore your vehicle for less than the cost of your deductible? Bring back that new car shine! Inch by inch, inside and out cleaning services from Victoria's premiere detailing shop. Complete exterior paint and repair of scratches, chips, and bumpers for less than your deductible. © 2016 - Island Detail and Color. All Rights Reserved. Design by qDesigns.